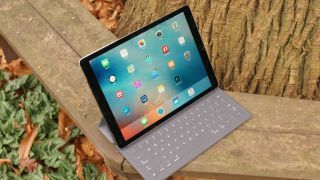 Deloitte is to help Apple show businesses how they can work better if they adopt iOS devices in the workplace, with the creation of an 'Apple practice' boasting a huge staff of advisers, and a new service called Enterprise Next. The Apple practice will have in excess of 5,000 advisers – iOS specialists including designers, developers and industry experts – who will be on hand to push the benefits of the iPhone and iPad, and to underline exactly how companies can make them work best and use iOS hardware to ramp up their levels of productivity. There will be dedicated teams of iOS experts across the Americas, EMEA and APAC regions, advising firms on how to improve every aspect of their business from dealing with customers through to recruitment, research and development, managing inventory, supply chains, and running back-office systems. As for the Enterprise Next service that will be the second major pillar of this Apple and Deloitte partnership, that's designed to ensure customers take full advantage of iOS, via tools and workshops which help organisations spot where custom-built apps could help push their business forwards, and then to swiftly realise those apps through rapid prototyping. The overall idea is for iOS specialists to help companies spot opportunities using processes such as 'value maps', and subsequently build "high-quality native apps that integrate seamlessly with existing business platforms", with libraries of pre-integrated solutions on offer to further accelerate the design and deployment of software. Punit Renjen, CEO of Deloitte Global, commented: "We know that iOS is the best mobile platform for business because we've experienced the benefit ourselves with over 100,000 iOS devices in use by Deloitte's workforce, running 75 custom apps. "Our dedicated Apple practice will give global businesses the expertise and resources they need to empower their mobile workforce to take advantage of the powerful ecosystem iOS, iPhone and iPad offer, and help them achieve their ambitions, while driving efficiency and productivity."